Serving up Stylish, Original and Healthy Recipes from a Gluten-Free Personal Chef and Nutritionist. 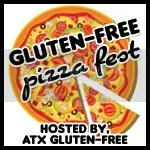 Gluten-Free News for Austin, Texas. 4January 18, 2010Lentil Soup with BACON! ATX Gluten-Free by Jessica Meyer Copyright © 2009-2011. All Rights Reserved.